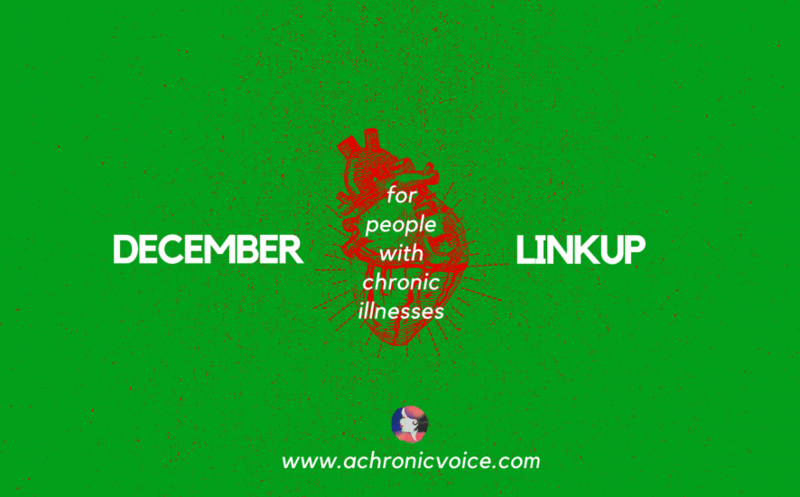 Hello and welcome to the last chronic illness linkup party for 2017! Thank you to all of you who have supported and participated so far. I truly look forward every month to discovering more about your world through these shared prompts. 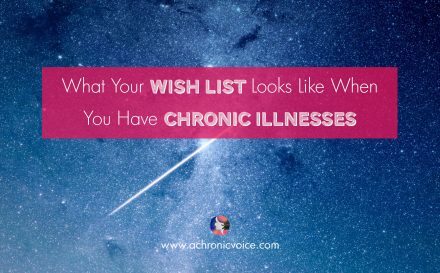 So many of us live parallel lives with chronic illnesses, yet it’s so interesting to see the cultural and also individual influences. Do remember that there’s been a small rule change since last month to make it easier for more people to join in! You just need to choose a minimum of 3 prompts from the list to submit your entry (although 5 is more than welcome, of course!). Wishing each and every one of you a merry month full of warm, fuzzy moments! 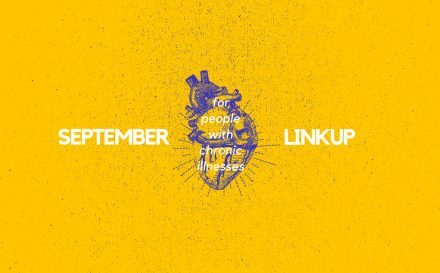 It is a monthly get together for anyone with chronic illnesses. 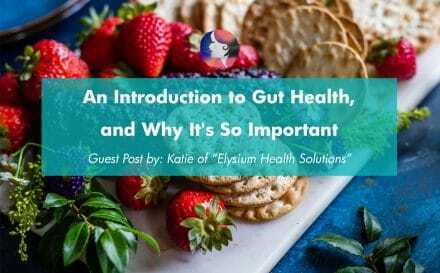 An opportunity to share, to listen, and to learn from one another. I also think it’s a great way to provide insight into life with chronic pain, from many different points of view. All you have to do is write a short excerpt for the listed prompts, and publish it on your blog. Then click on the blue ‘Add Your Link’ button below to add your blog entry here. Voilà, you’re now part of the party! Previous storyGet to Know Me Better Through These 20 Fun Questions from WheelEscapades! 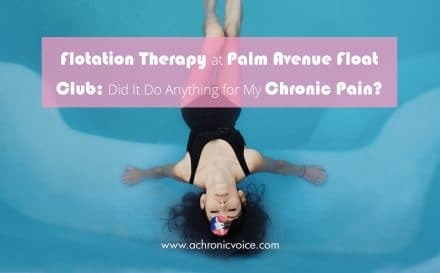 Flotation Therapy at Palm Avenue Float Club: Did it do Anything for My Chronic Pain? Oh my, I just finished my entry, but I see the link up is closed now. haha… it was my first time taking part after following silently for a while. Really enjoyed it. I look forward to reading all the other entries! Jan’s prompts are out too – you are also welcome to join in of course! Happy New Year!